When you use individual carrier and broker websites to ship your freight, your address information is scattered across those sites. If you've shipped to a customer using Dayton, then the next time you ship to that customer you choose Lakeville, you have to type the address again, along with all of the supporting information, like their shipping and receiving hours. 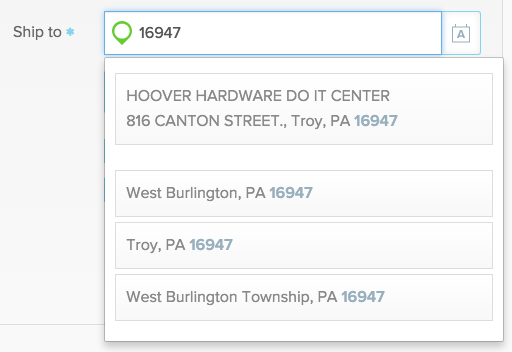 First, Freightview remembers every address you use so you never have to type it twice. The moment you book a shipment, the address is committed to your address book. 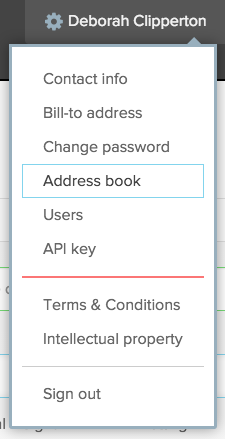 If you want to see your whole address book, click on the icon next to the field. The address book panel slides out. From there, you can search, add a new address and edit (or delete) an existing address. Click on an address to choose it.